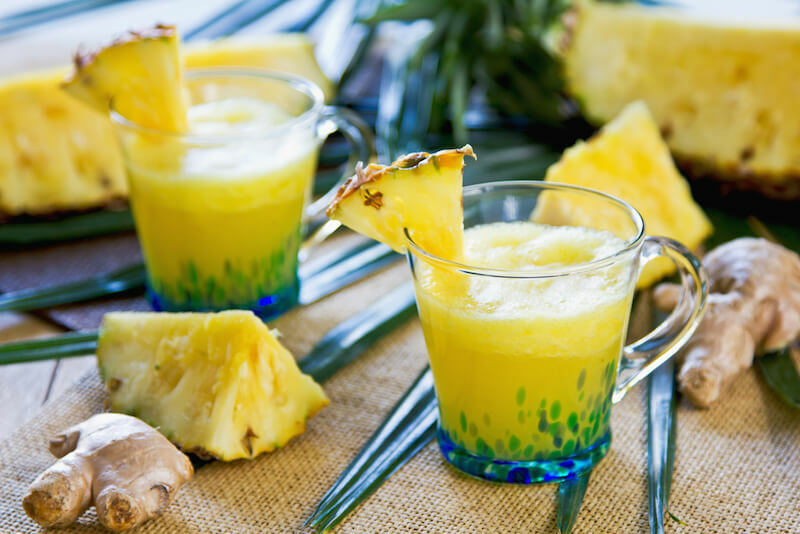 Anti-Inflammatory Pineapple Ginger Smoothie To Get Rid of Chronic and Acute Pain!! Inflammation is the root cause of all disease, and also the reason you feel pain. This anti-inflammatory pineapple ginger smoothie is loaded with fruits and roots to help reduce the levels of inflammation in your body so that you can feel your absolute (pain-free) best! Thank you Live Love Fruit for this recipe! Click here for the recipe and to read more! I add ginger to all of my smoothies! !